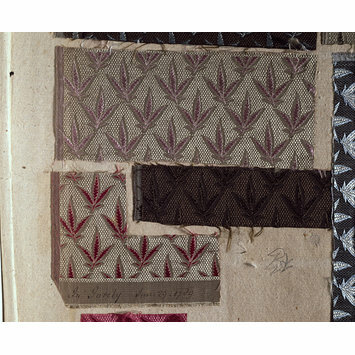 Pattern book containing 370 pages of textile samples, and including different colourways of the same pattern. The pages are divided by season. Most of the patterns are floral-like. 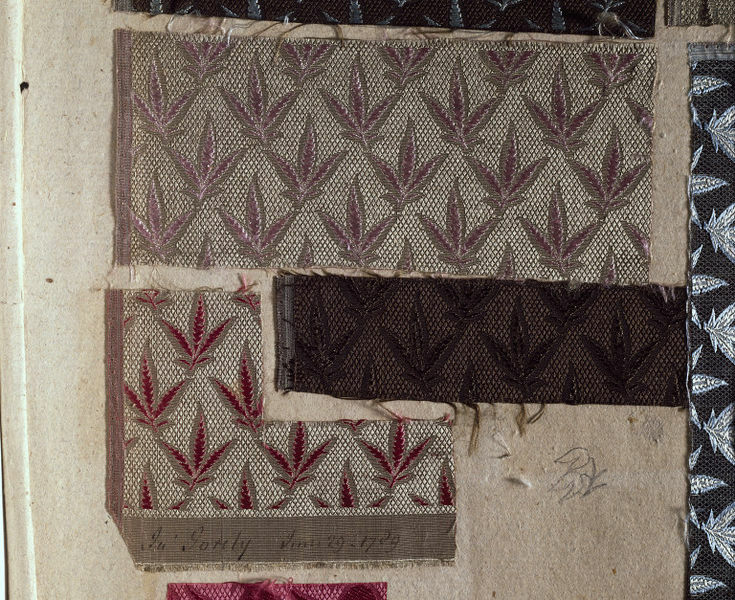 The front cover has '1786 Watered Silks and figured satins' in ink. There are other various labels, some are misleading.